After long hours of shopping, the first thing that we think of, is to have a hearty and scrumptious meal. 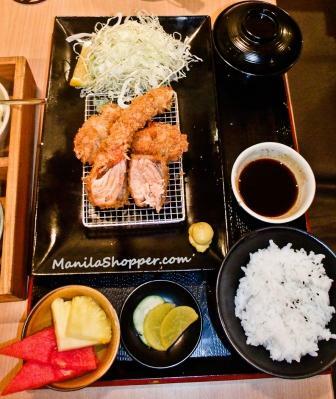 And the timing was just great when Yabu, The House of Katsu invited Manila Shopper to try their famous Tonkatsu. A little bit of Tonkatsu history from Wikipedia: Tonkatsu was introduced to Japan by the Portuguese, a classic example of a “yoshoku” or a Japanese version of a European cuisine and invented in the late 19th century. It was originally called Katsuretsu, or Katsu (meaning cutlet) but the term Tonkatsu (pork katsu) was coined in the 1930’s. "The word “katsu” is an abbreviation of the word “katsuretsu”, which means “cutlet”. It generally refers to a sliced piece of meat that is breaded and deep-fried. The dish was introduced to Japanese culture in the late 19th century during the Meiji period, when Japan opened its doors to the West. 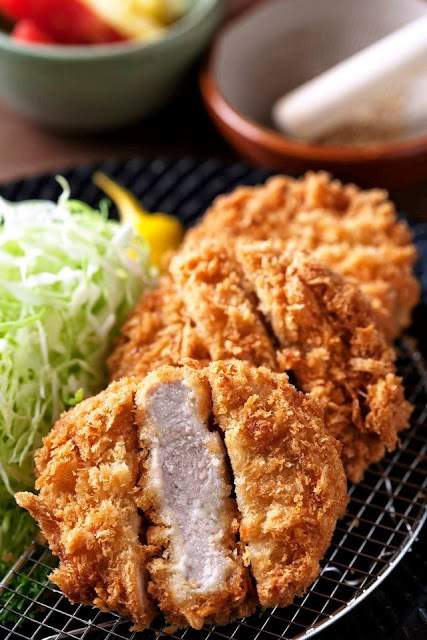 In the beginning beef cutlets were used, but pork eventually became the more popular choice of meat by the 1900’s, giving rise to dishes such as tonkatsu (“ton” is the Japanese for “pork”). Today, katsu is considered one of the classic dishes in Japanese cuisine, inspiring many chefs (including ours) to find ways to elevate this beautiful dish into a high level of culinary art." 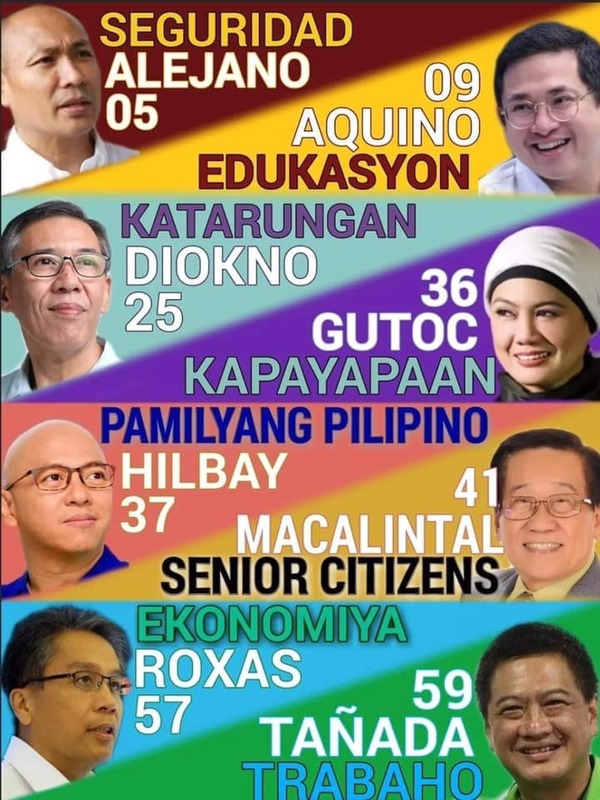 Katsu, in another context also means “to win” hence, Japanese families usually will prepare tonkatsu (or a similarly-prepared chicken katsu) for children or young businessmen before a major competition, exam or business deal. While waiting our order, we were served with a bowl of sesame seeds. Sesame seeds are actually the most important part of the tonkatsu sauce.... the freshly ground sesame seeds add a really nice, sharp taste to the sauce. Grinding the sesame seeds brings out their delicious flavor and aroma, which renders a textured mouth feel and delicious fragrant flavor of sesame. And yes, you do the grinding yourself...the attendant can do it for you but it’s more fun if you do it yourself, and it’s definitely a fun opening for a perfect meal! 1) Fresh Panko (bread crumbs) is made everyday resulting in long, light crispy flakes. 2) Bright & Golden color: Authentic Katsu should never be thin, greasy, dark and dull. When served fresh, it always exudes a bright, crisp golden brown color and an aroma of deliciousness that whets the appetite. 3) Premium Pork: Only the finest pork is used, sourced from local farmers and delivered fresh. 4) Thick Cuts. Authentic Katsu means generous cuts of meat, nothing less than 0.5 inches. The result is a dish that’s hearty and shamelessly tasty. 5) Heat. Katsu is cooked at precisely 165C and allowed to rest properly, ensuring that the meat retains its natural juices and tenderness. 6) 100% Canola Oil. 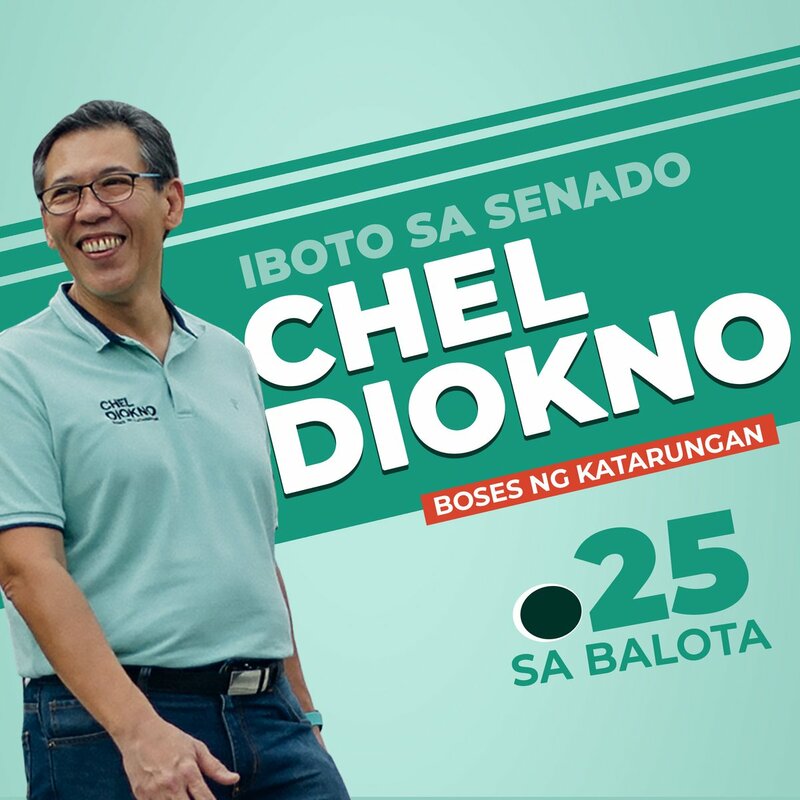 Rich in omega3, with zero transfat and cholesterol. Using canola results in crispy, non-greasy breading, and allows the flavors of pork to shine through. 7) Freshly-made. The Katsu is sourced fresh, made fresh and best eaten as soon as it’s served. 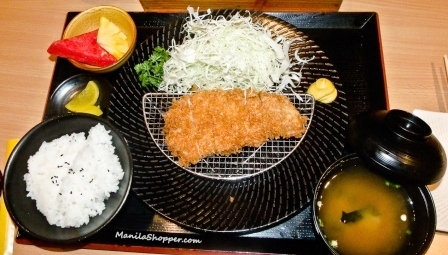 Tonkatsu usually consists of deep-fried pork cutlet, 1 or 2 centimeter-thick, sliced into bite-sized or chopsticks-manageable-sized pieces, and coated with Panko (Japanese bread crumbs). It is generally served with Miso soup, pickles, Japanese rice, shredded raw cabbage (unlimited) which act as a salad, and a bit of spicy yellow Japanese mustard (Karashi). Yabu’s Tonkatsu set usually comes in 2 variants: 1) Rosu or Porkloin cutlet...taken from the tissue between the lower ribs, and has pork fat. And 2) Hire or Pork Tenderloin. It has lean meat and lesser fat than the Rosu. 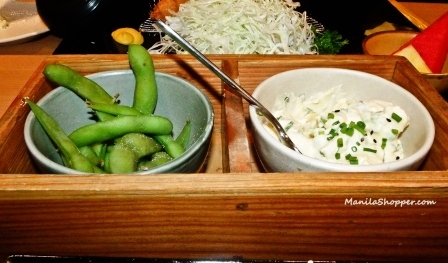 Above photo (taken from Yabu's Facebook Page) is a Yabu's Hire Tonkatsu Set. And, this Katsu is really legit! The pork was so tender and juicy. It was crispy and perfectly fried. Yabu is also proud to offer Kurobota pork. Kurobuta is a high quality pork which hails from Kagoshima. It comes from the ancient breed of pig known as Black Berkshire pig, the meat of which is the world's finest pork. It is the “kobe beef” of pork, a combination of a sweet, rich flavor... its delicate texture and an unbelievable level of juiciness makes it the pork for “Royalty”. For those with sweet tooth, unfortunately they have 2 desserts only available - Magnum Ice Cream and Choco Lava. But this mouth-watering dessert blew us away! Next time, we will try their Katsudon and Katsu Curry. 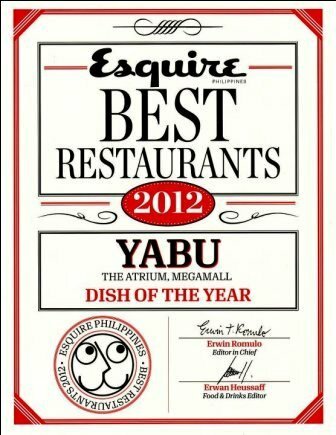 Great food, coupled with friendly and attentive staff...no wonder Yabu was awarded by Esquire Philippines as Dish of The Year in 2012. 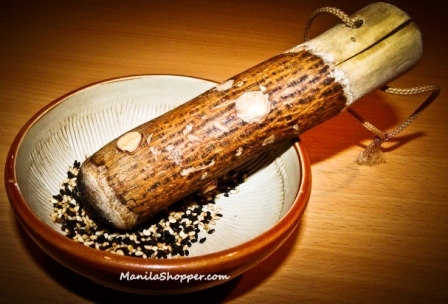 Check Yabu branch locations HERE. For more info, please visit Yabu House of Katsu on Facebook or Yabu Website. 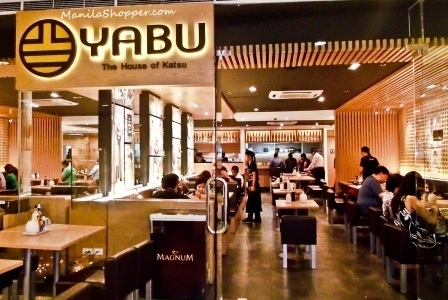 Disclosure: Manila Shopper has accepted an invitation for free lunch at Yabu. However, this post was a combination of 2 Yabu visits...one was free and the other one was not (they didn't even know that Manila Shopper was there)... just to find out if the food and service were consistent...(and fair enough, they were!). Thank you and we look forward to seeing you again soon at Yabu!